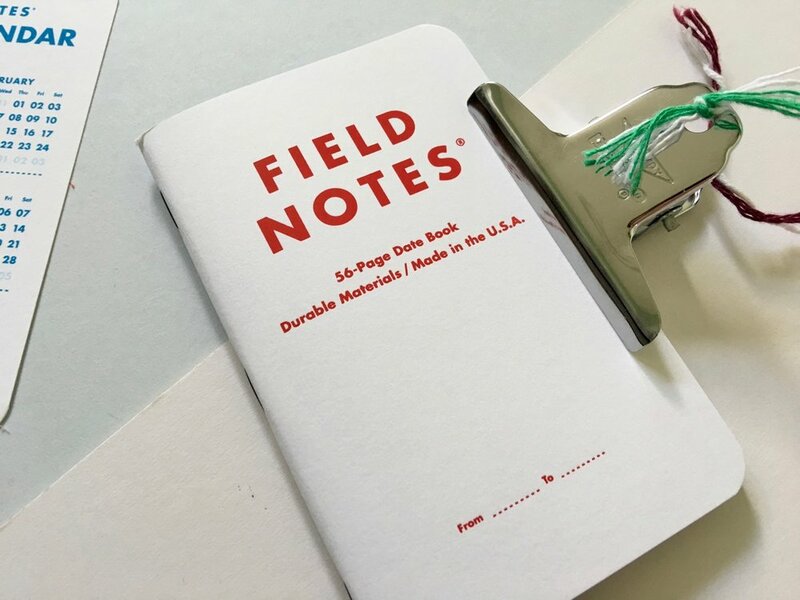 I haven't reviewed a Field Notes release on the blog for some time. Actually this is the first Field Notes release I have bought since Lunacy in Fall 2016. Between Lunacy and Resolution I didn't get the pull to buy any of Field Notes releases in the same way I had before. Resolution is the first release that feels like Field Notes, something practical that should be used. Not only is this a well named and well timed release (you'd think they planned this), but the Resolution edition is perhaps Field Notes most practical edition for some time. 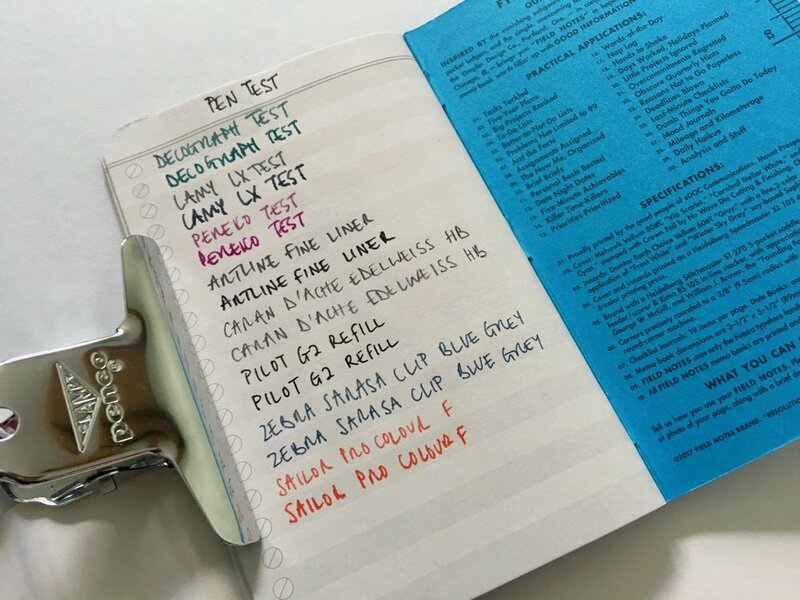 There are no major flourishes with this release, it's simply a notebook the list maker / organiser / planner and for that I love it. There are three different colours, red, white and blue. Two of the notebooks, the red and blue, are your bullet point/list notebooks. These are similar in concept to Word Notebooks with pages full of bullet points. Inside you have two different paper colours alternating by line, one is a Frost White and the other Winter Sky Gray. I really like this line altering, its makes my lists easier to read and nicer to look at. This does however result in some variation in how the ink performs. Fountain pens respond differently depending on the line, the Winter Sky Gray seems to make the ink feather a lot more. When using a black drawing pen the ink almost looks dull and like a dark grey colour. As you would guess, there are less concerns when using pencils, both colours are fine with graphite. The white notebook of this three pack, is the undated planner. 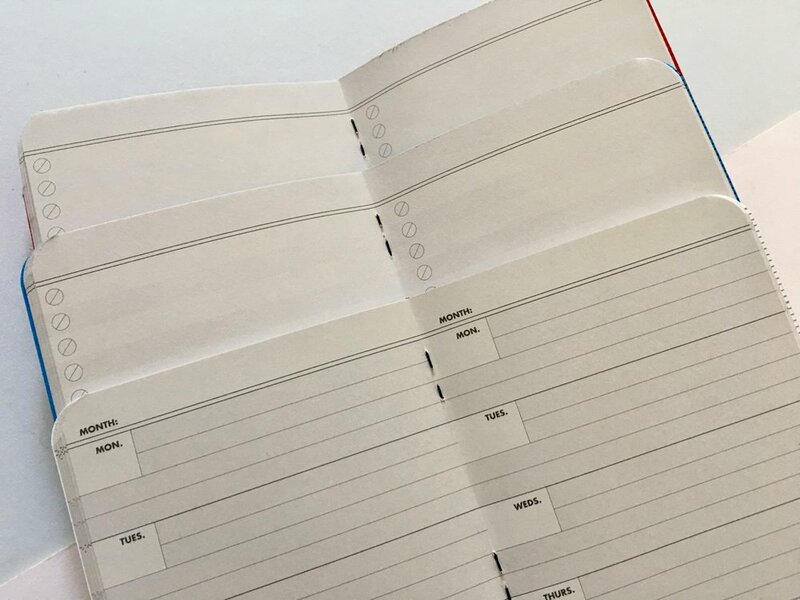 This gives you a week per page with enough space to jot down brief notes on your week, or for appointment planning. This notebook has the same internal colour stock however the majority of your written space is the Winter Sky Gray. The one gripe I have is that Saturday and Sunday are given a tiny amount of space with the assumption that these days aren’t as important. So if you’re a weekend worker, or someone who does a lot on weekends you’re going to run out of room. I really like the thick matte finish covers of this release. The blue is my favourite, the red cover with blue copy is a strange colour combination. 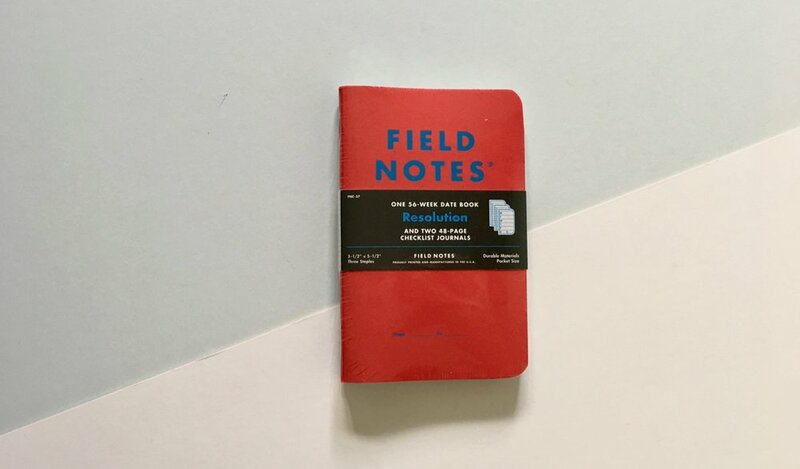 The white with red copy reminds me of one of the Day Game notebooks, which was my first experience with Field Notes. There is a nod to the Field Nuts in this release with Staple Day printed in the centre pages. 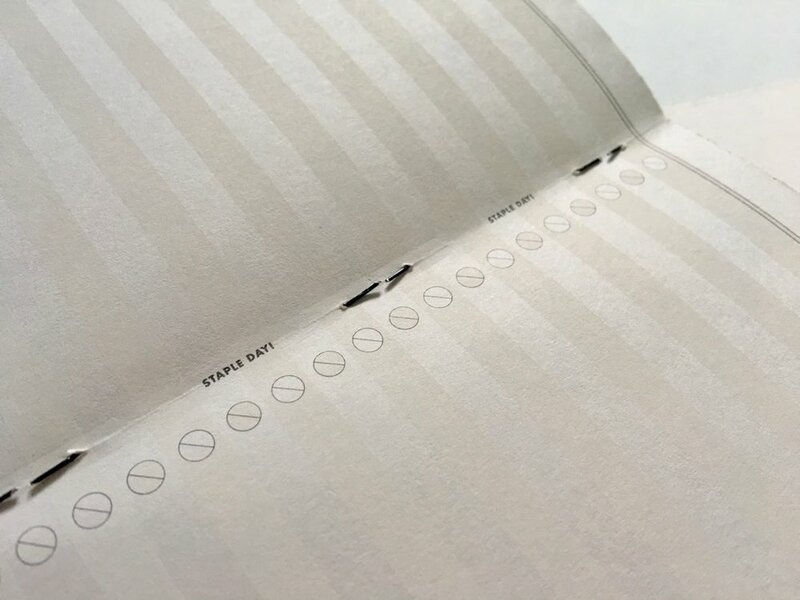 I guess when printing 35,000 packs Field Notes can afford to add in touches such as this. The front cover also includes a small move away from the traditional Field Notes front cover. I presume for archival purposes this edition includes a From and To area where you can include the dates for each notebook. The matte finish cover means you can write easily on the cover stock with almost any pen or pencil, mine is actually filled in with pencil. You also get a very handy little annual calendar included in each three pack. This is the size of a Field Notes and made from thick stock making it durable for the year. I keep one with me and it has come in very useful on numerous occasions. This edition is perfect for me. 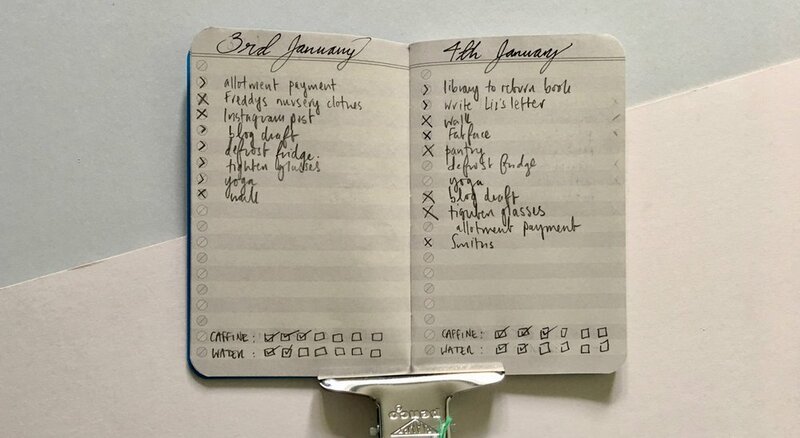 It allows me to create my daily to do list, mark off in progress items and then cross off completed ones. In my notebook I use one page per day where I throw down everything I need to do. At the bottom of the page I track my water versus caffeine consumption (a 2018 habit change in progress). Using a Field Notes in this way is ideal for me due to its small size. I am aware I could use any Field Notes for this job, and I probably will moving forward, but the thicker paper stock in the Resolution edition makes this more durable and tougher wearing for a bullet journal style notebook. A sample couple of pages. I can see this being a long term popular release for the list makers out there, appealing to more than just the Field Notes faithful. I wouldn't be surprised if there are requests to make this edition a staple in the Field Notes line-up. An idea I thoroughly support. I really like the Resolution edition. I can see this being a two pack that isn't cast aside after a month, but used completely. I don't have a use for the year planner notebook and have actually given both of mine away to people who needed them. But the list notebooks are fantastic. Coloured cover stocks are also heading back to the traditional Field Notes design, which again is welcome. 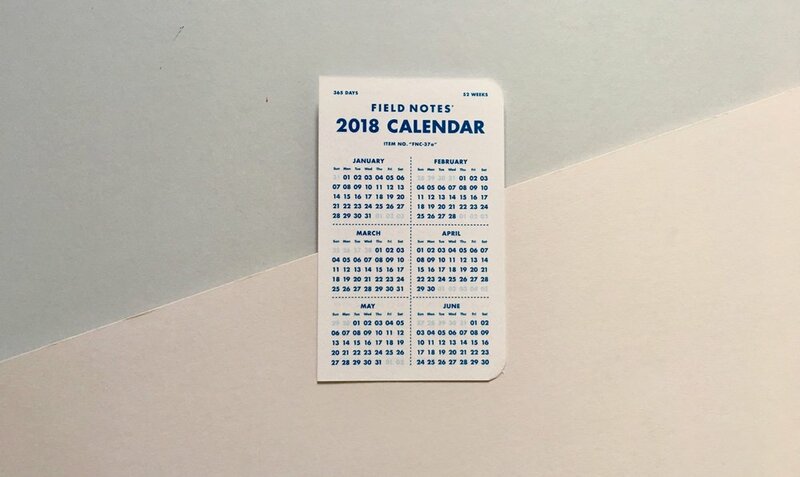 This could all change with the Spring release of course but I really like what Field Notes have done with their final 2017 release. The Winter editions are always the best.